Information: Soon after the War people started building their homes in the area between Birkirkara and St. Julian's, Archbishop Mgr Michael Gonzi asked the Capuchins to take care of the spiritual welfare of the people residing there. The Capuchins established themselves in the locality in 1956 and started building a church dedicated to the Virgin Mary of Lourdes. The building of the church was completed in 1959 and in 1965 it bercame the parish church of the locality. Other information on churches under this parish: "Nazareth" Pastoral Centre at Taz-Zwejt Priest in charge Rev. Leonard Falzon OFM Cap Holy Masses Sundays and Feast Days: 9.00 am Tuesdays and Fridays: 6.30 pm Saturdays: 6.00 pm Mensija Sanctuary The church is built over a cave whose existence had been unknown for a long time; a person entering it for the first time saw a light burning in an earthern lamp in front of an old painting of the Virgin. Before the war the church was a rural chapel with only one house in its vicinity. The church was closed by the bishop in 1659 but re-opened when restored. 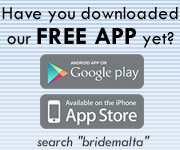 Today marriages may be celebrated in it. Priest in charge Rev. 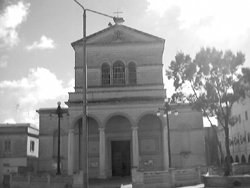 Raymond Bonnici OFM Cap Holy Masses Sundays and Feast Days: 11.00 am Week Days: 5.30 pm Chapel of Saints Philip and James The church was built in 1730 by the provost of Birkirkara chapter. Chapel of St. Margaret The chapel was built in the 16th century but was closed in 1658 to be reopened four years later. During the last war it was completely destroyed but was rebuilt and opened for use in 1990 by prayer groups and church associations. Chapel of St. John of l-Ghorghar The chapel is situated on the road to Sliema; it was closed by Bishop Balaguer in 1659 but reopened in 1672. When the Capuchins, requested by the Archbishop Mgr Gonzi, established themselves in the locality they used this chapel; today it is used to catechetical instruction.